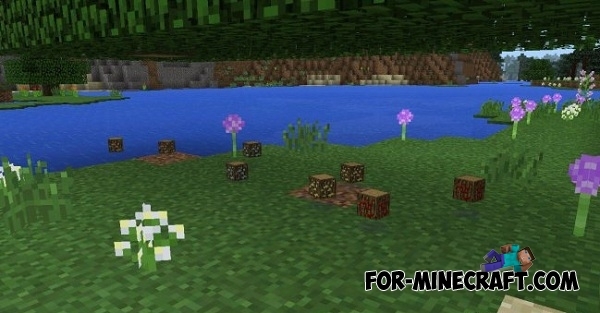 Plants Trees Ores adds a special tree species in Minecraft Pocket Edition 0.14, which will differ from the usual trees and can give you quite a valuable crop! 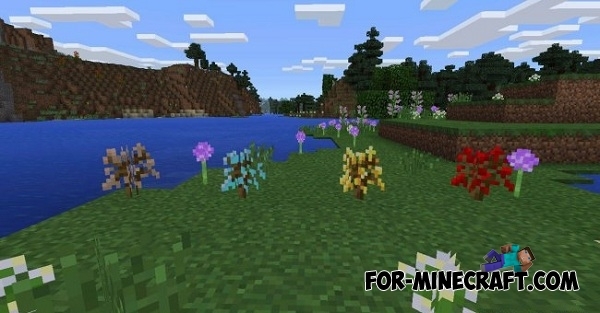 Mod adds the ore trees - it could be gold, iron, diamond, or other trees that you will be able to plant and then to grow. 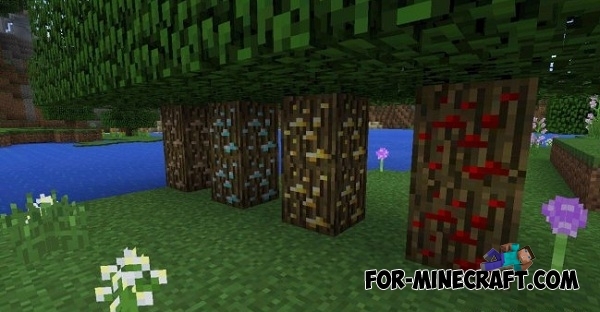 Trees have different textures, because the ore will be displayed on their tree trunk. 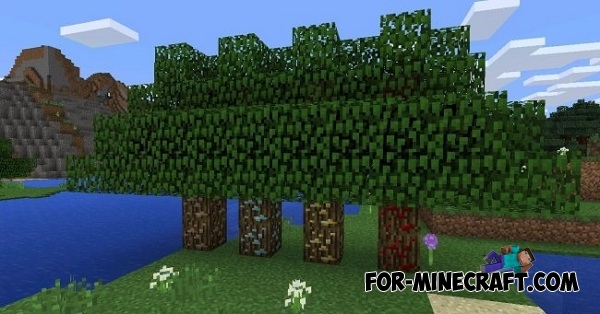 How to grow a ore trees? To begin, you need to choose tree that you want to grow, then take a sapling, and crafted with the appropriate things. After crafting, you can get ready sapling and plant it, just by clicking anywhere on the ground. There is also a a way to accelerate the growth of the tree. 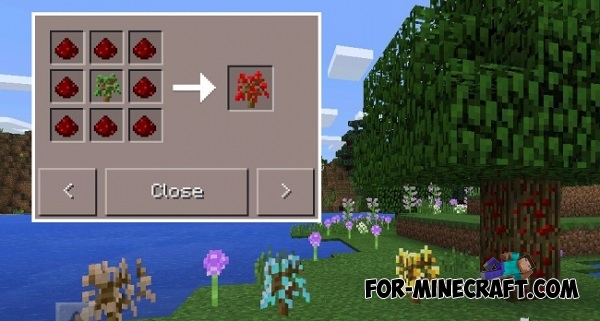 When your sapling is already planted, you can take bone meal and apply it. When ore tree grows up, you can immediately refill your stock of useful resources. 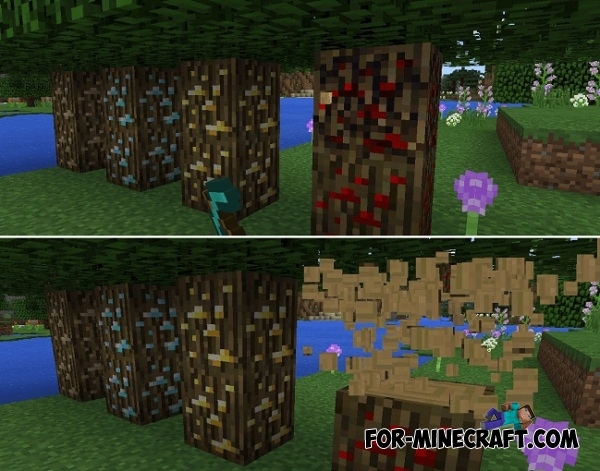 To do this, you just need to hit by pickaxe on the tree trunk and get the ore blocks. After that you just put ore blocks into stove, and then to produce ingots from the ores. Locate the downloaded texture and click on it to add.